Plans of going on a tour could easily enliven someone’s spirit. Take in great food into the equation and you’ll have the perfect formula for the best thing since sliced bread. When the global online food delivery marketplace brand, foodpanda, first conceptualised the Good Food Tour, three things were considered; to discover Grade A restaurants around a certain location and the masterminds behind their feat, highlight distinctive cuisines worthy of the public’s attention, and bring together different personalities with common love and interest for food for a whole night of appreciation and revelry. 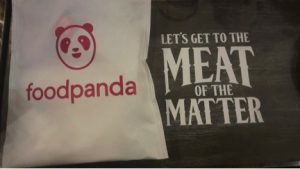 It has always been foodpanda’s greatest motivation to constantly look for the best menu in town and offer its valued patrons boundless alternatives and food choices. 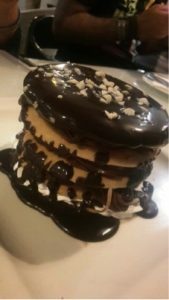 Foodpanda Karachi, think it’s high time that we hold our own tour here because Karachi have so much to offer in terms of food culture. 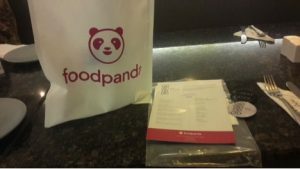 Foodpanda takes pride in being partners with these food hubs because they not only serve excellent, authentic dishes but they also always strive to reinvent and innovate cuisines and take it to a whole new level. 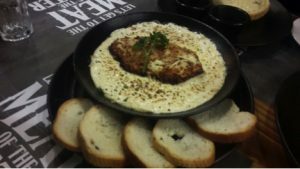 Tour began with Vintage Cafe located at Sindhi Muslim, serving a brand new and improved menu for the true food connoisseur in you. Vintage offer delightful variety of nutritionally dense, healthy and fresh food. It is passionate about helping customers refuel, rebuild and heal through food. 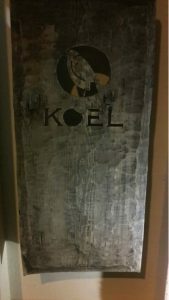 The second stop for the night was Cafe Koel. 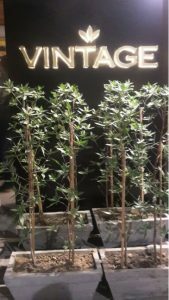 It is always interesting when a cafe is combined with some other business at the same venue or location. 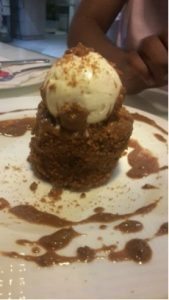 Cafe Koel is one such venture. 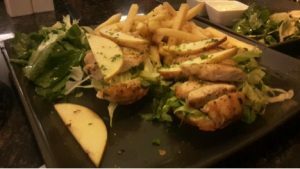 I really liked the soothing and peaceful ambiance of Koel, and the quality of the food and drinks was well above average. Our 3rd and last stop was Meat the Cheese (MTC), has been all the rage recently. Bringing the Raclette cheese trend to Karachi. Our main stop for dinner on Good Food Tour and we loved every bite of it. Taste of the Raclette was too strong for our liking and has an acquired taste. We are used to the few traditional kinds of cheese that we’re accustomed to, and pure Swiss cheeses have a stronger taste. 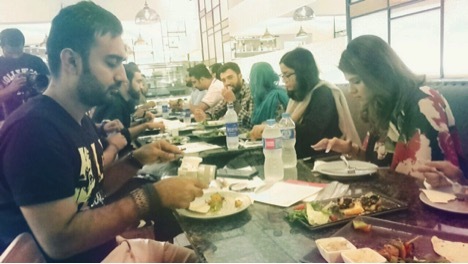 And finally our last stop was at Cosmopolitan Cafe & Restaurant, located in Karachi’s Shahrah-e-Quaideen. Cosmopolitan serves unique dishes inspired from cuisines from all over the world which are differentiated, elegant, stylized and delicious.